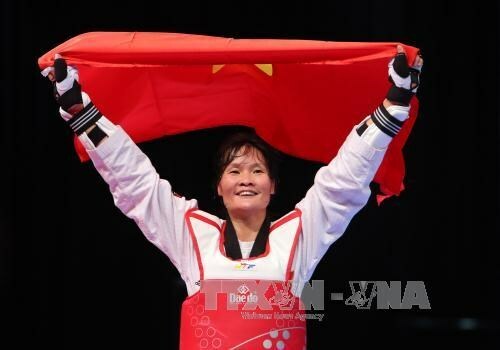 Kuala Lumpur (VNA) – Ha Thi Nguyen pocketed a gold medal in Taekwondo for Vietnam on August 27 at the ongoing 29th SEA Games in Malaysia. Nguyen beat Indonesia’s rival Shaleha Fitriana Yusuf in the women’s 62kg division. In the sport, Pham Thi Thu Hien took a silver medal in the women’s U-57kg category. On the day, Vietnamese female athletes won a silver medal in sepak takraw in the double’s event and another in futsal. They were all beaten by their Thai rivals.